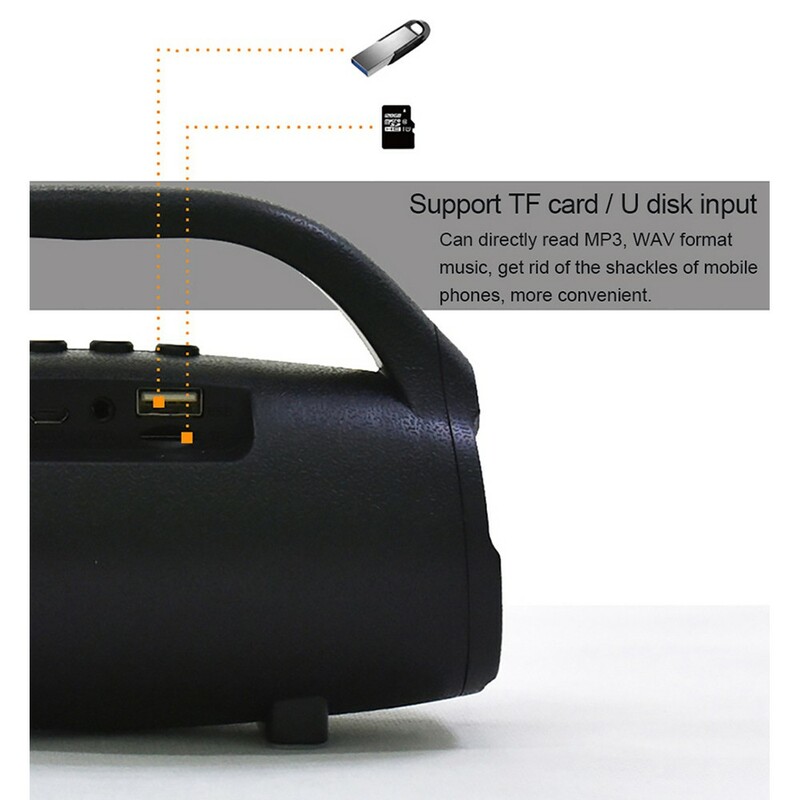 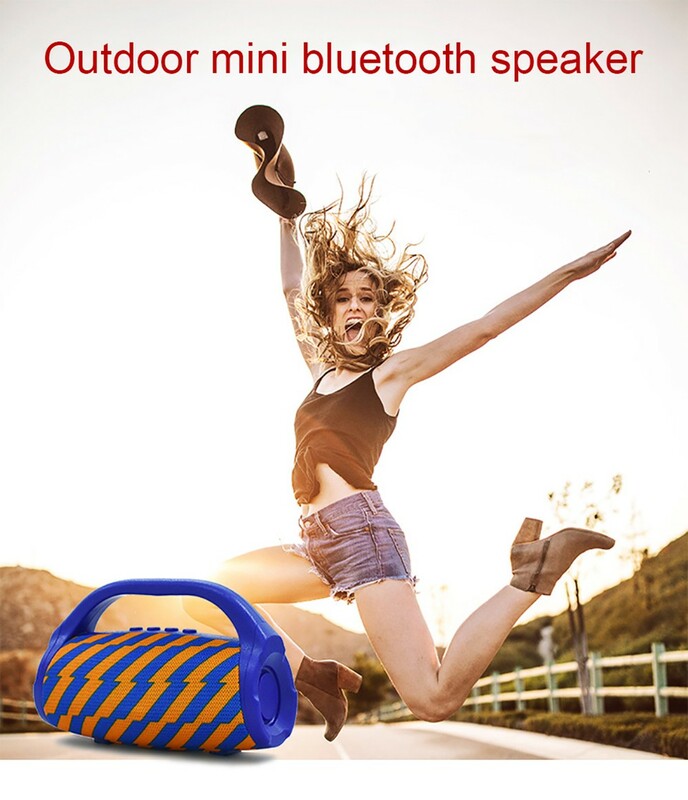 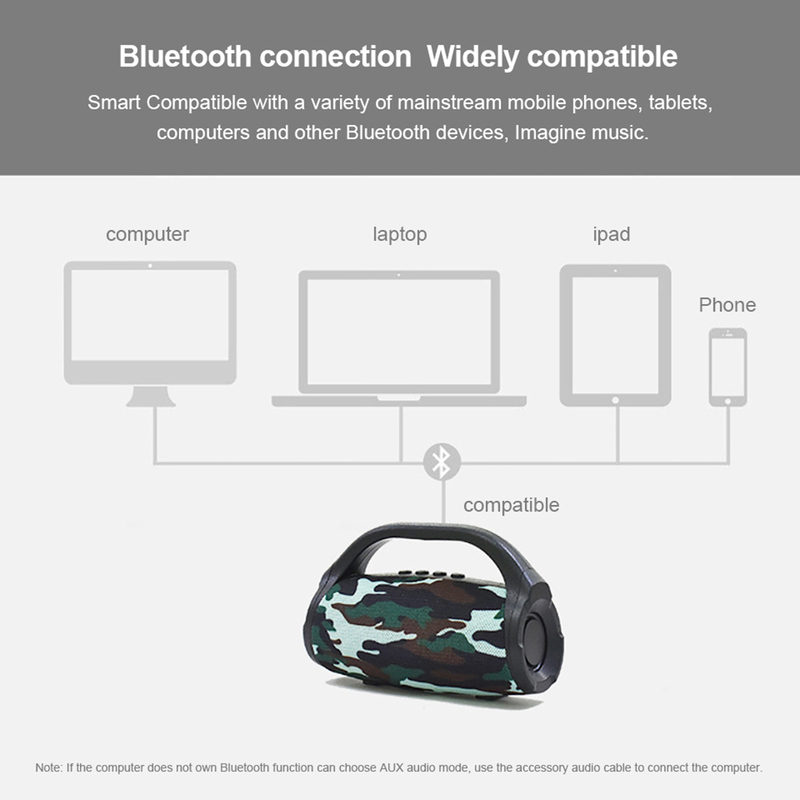 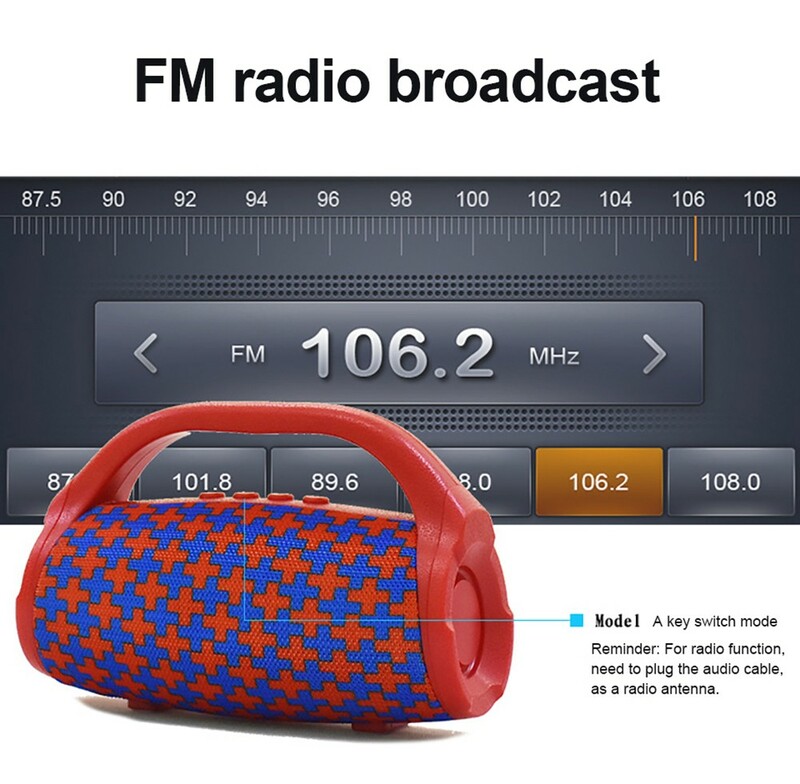 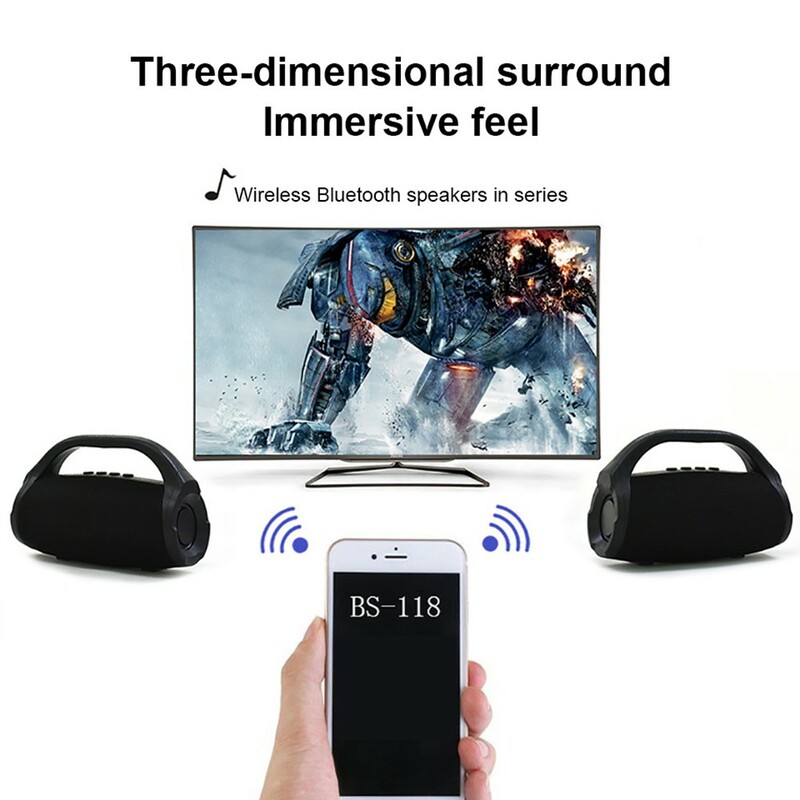 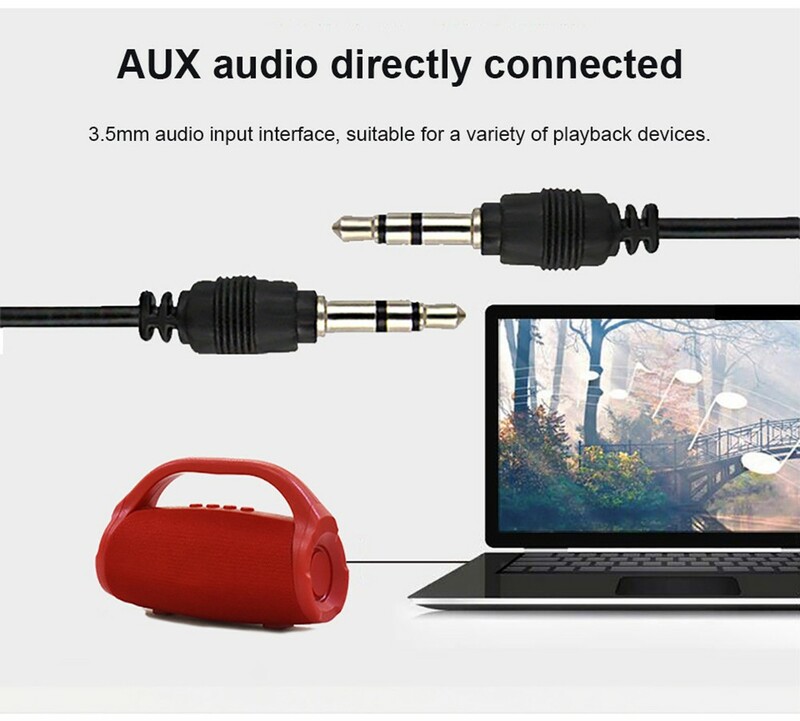 ●Support BT Music, BT Hands-free Calls, FM/AUX/TF Card Audio Input. 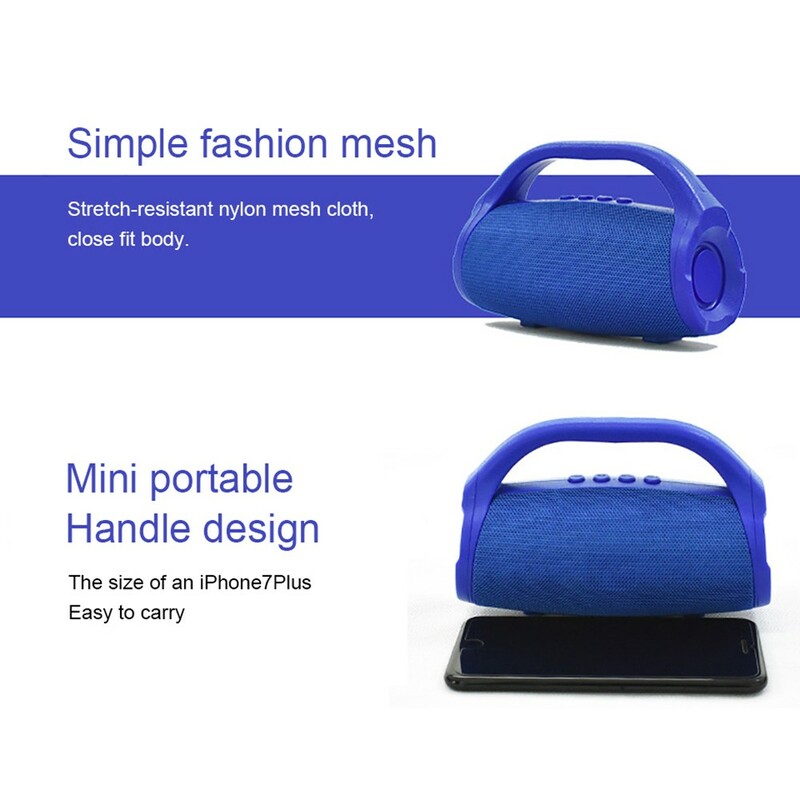 ●The body is also made from ABS plastic and woven fabrics, which contributes to its shock-resistance and dirt-proof. 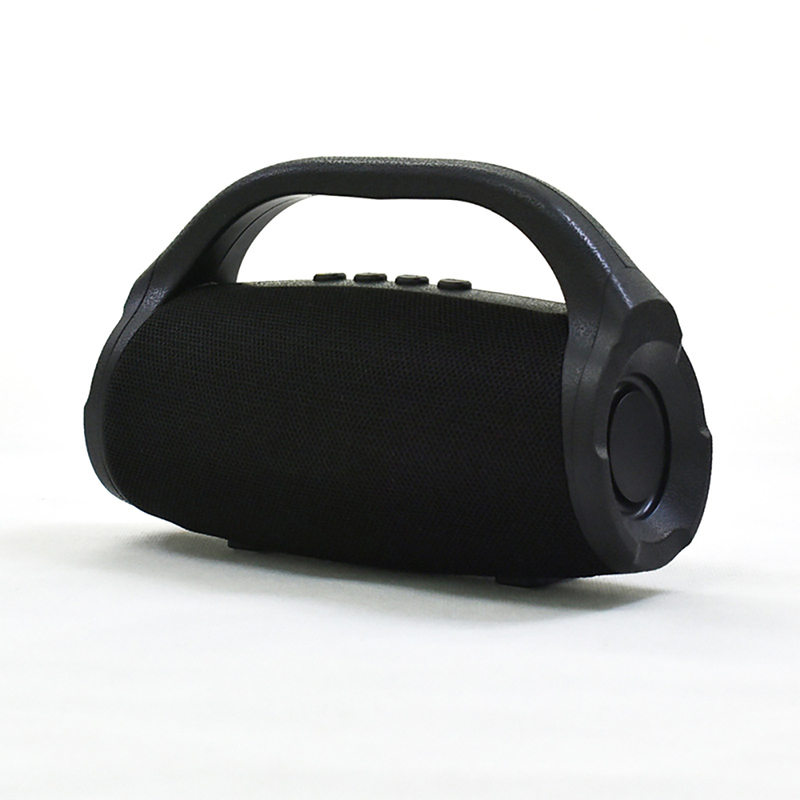 Rubber base can keep it in place and don't worry about moving around. 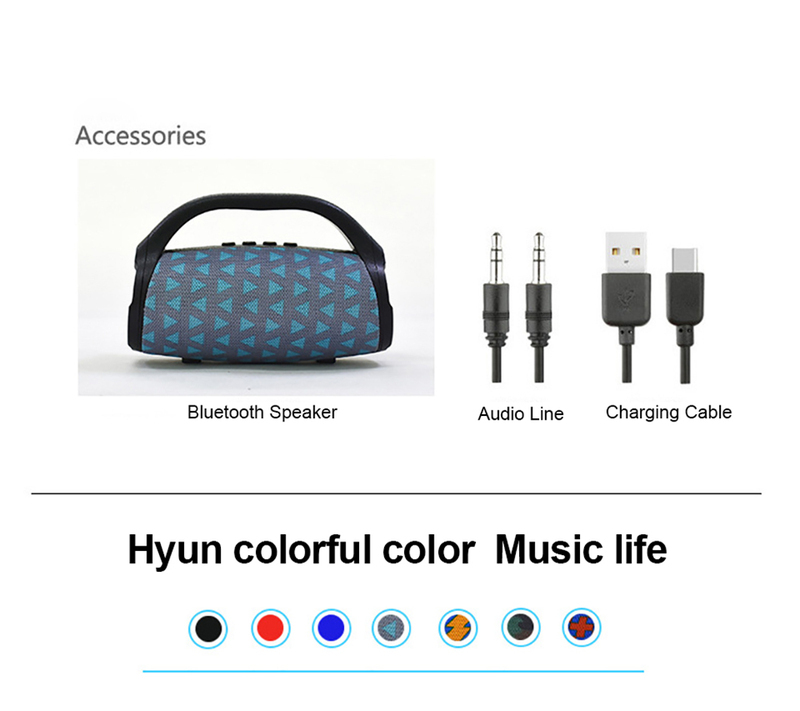 A leather strap that can be used to attach the speaker to a bag or even hung up in other places if with a carabiner, or to help give you a better grip when holding it. 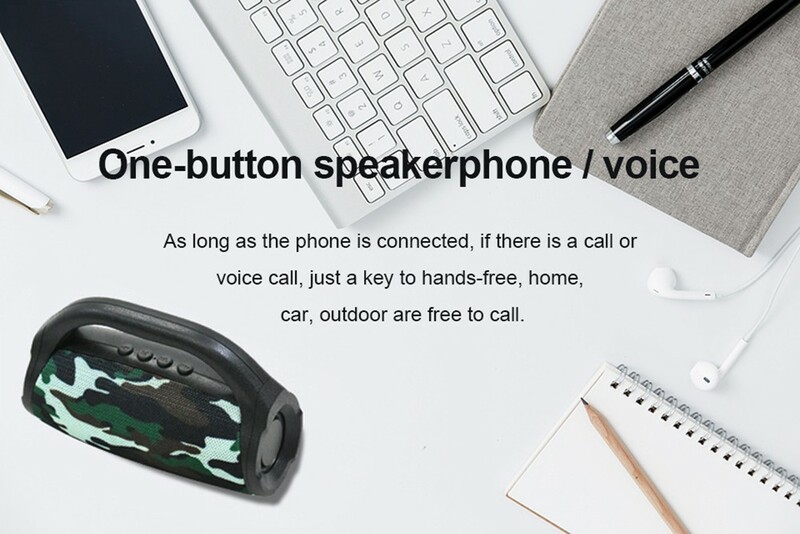 Your phone will be connected with speaker the moment phone's bluetooth mode is opened. 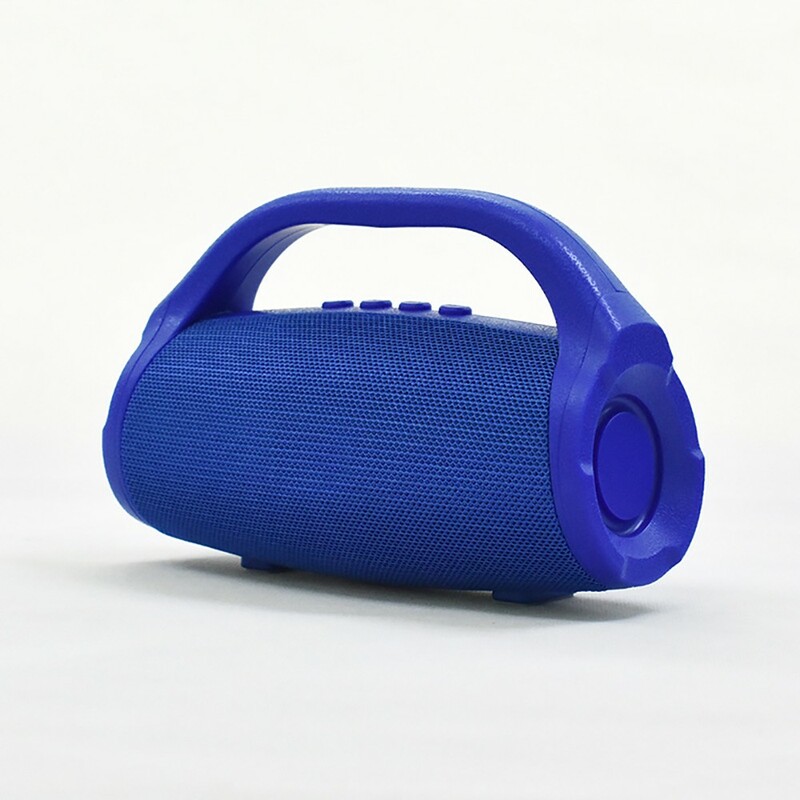 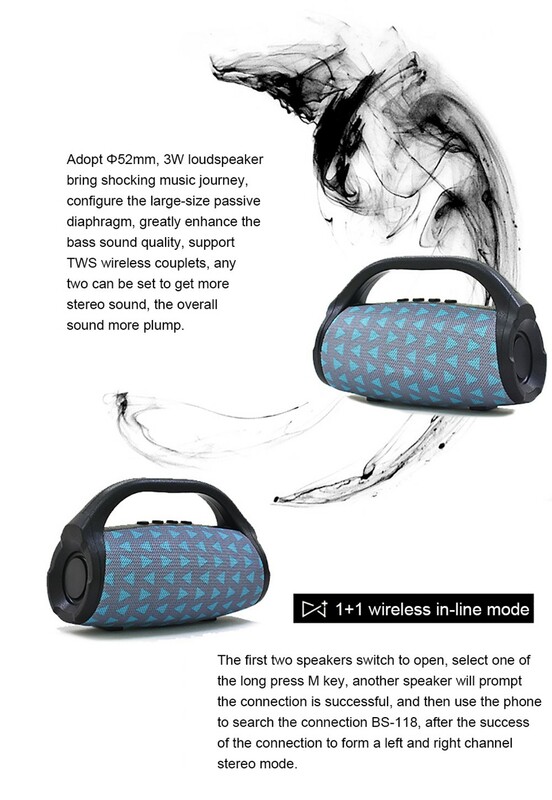 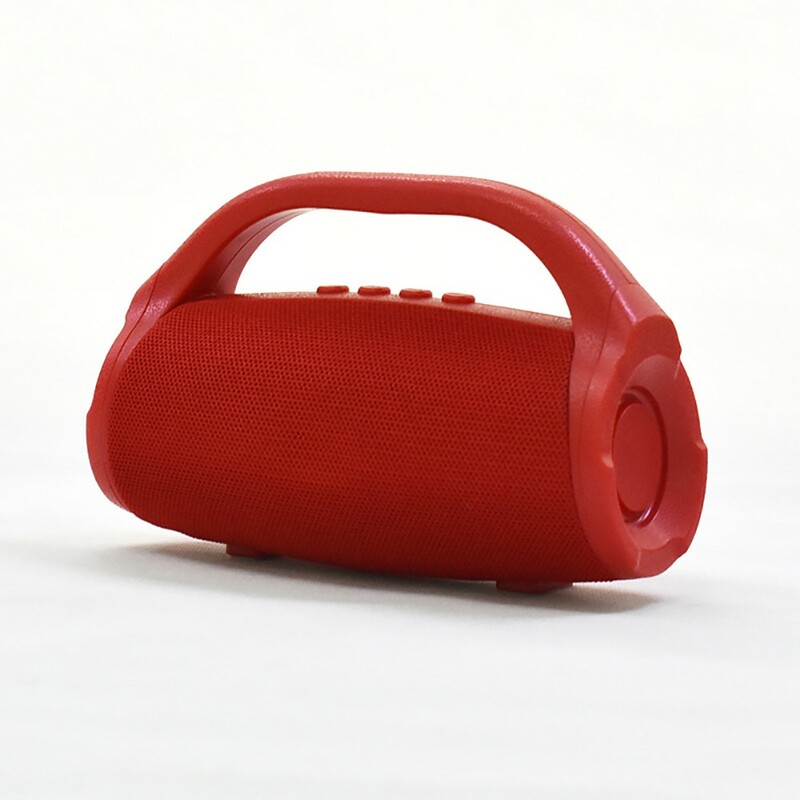 For a speaker of its compact size and shape, it puts out some decent sound with dual 3W Output loudspeaker. 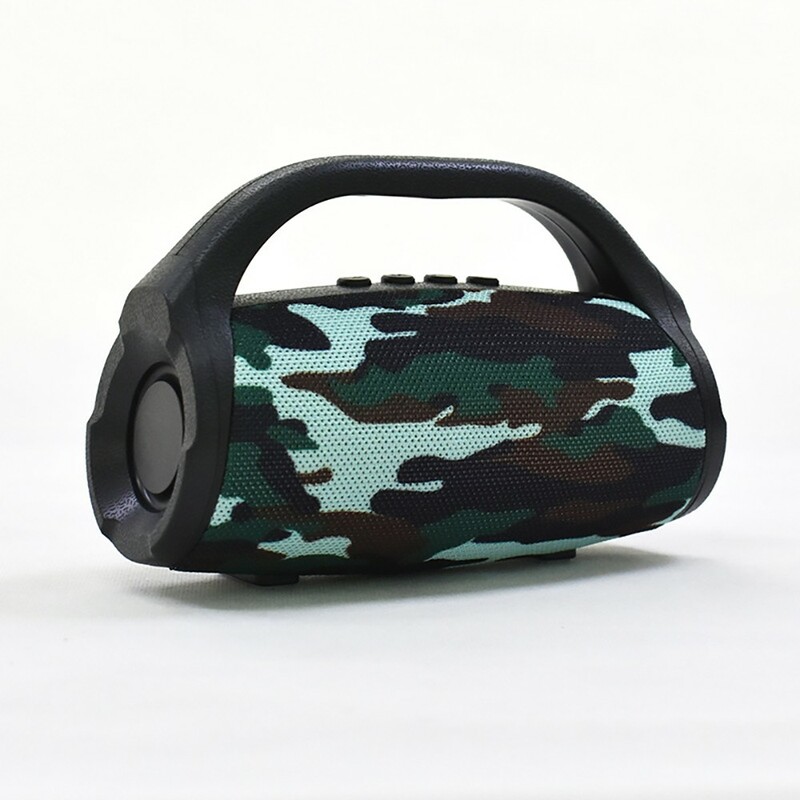 you can regard it as a suitable companion that can be moved into the living room, bedroom even the kitchen, and is loud enough to use anywhere in the house or office, lets you create the atmosphere to suit your moment. 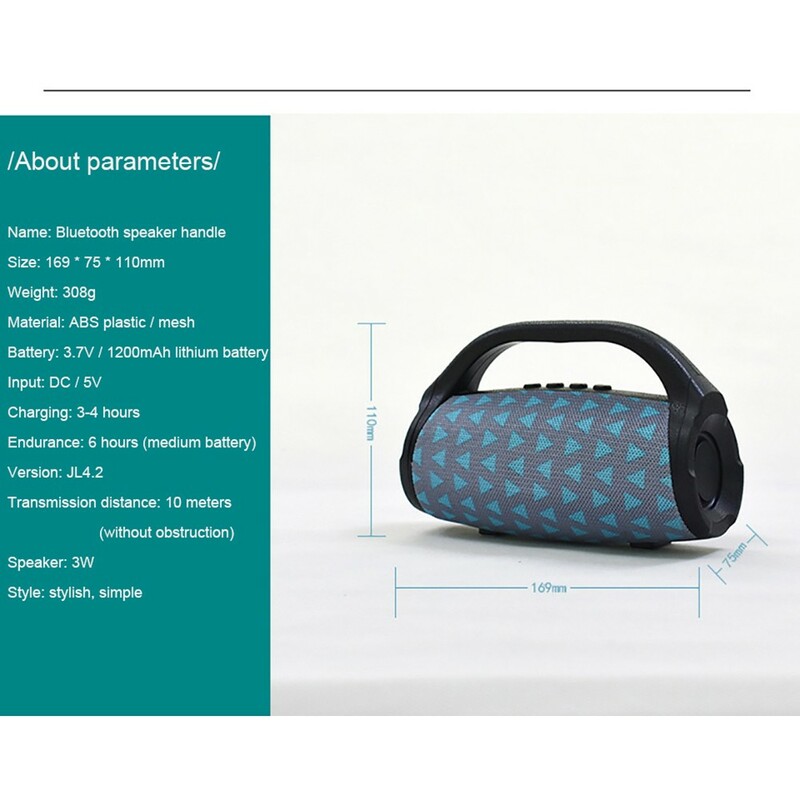 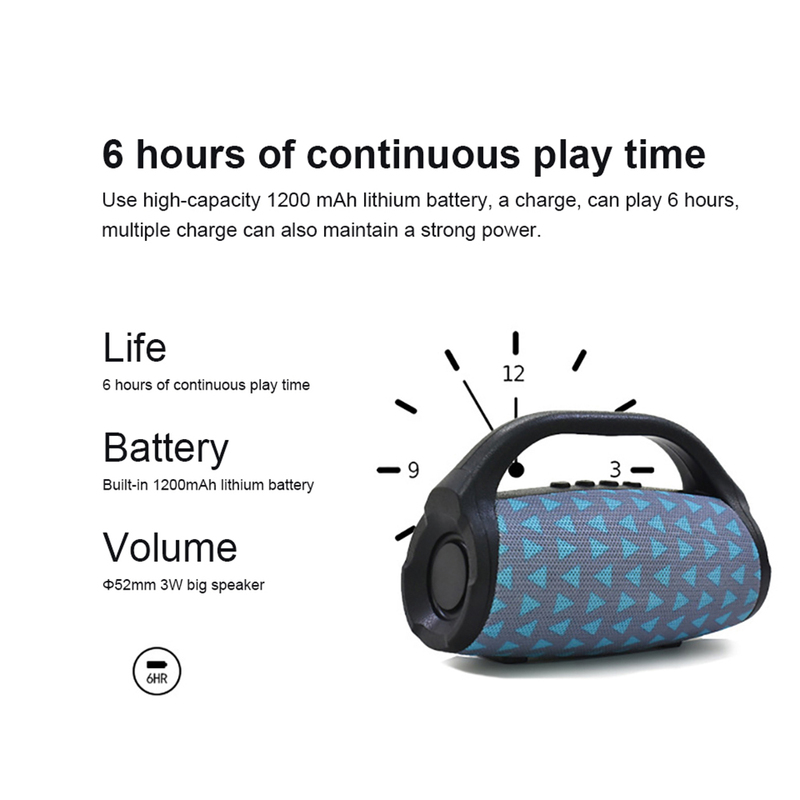 ●Built-in 1200mAh Lithium Polymer Battery can provide one good sulotion for you when your mobile devices are power off, especially when you are hanging out, you don't have to take another power bank. 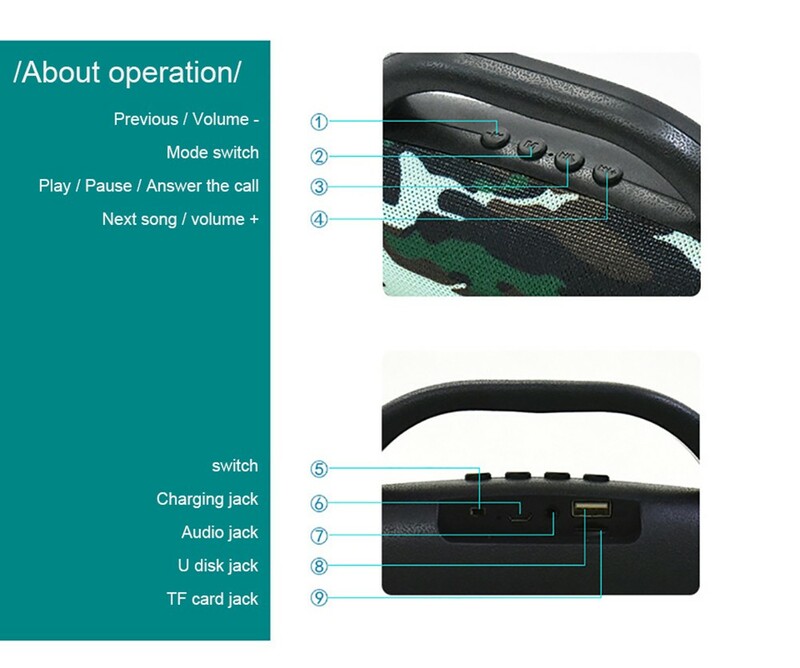 ●Built-in Microphone and multi-functional buttons, let you directly take clarity calls, play music with an easy click.